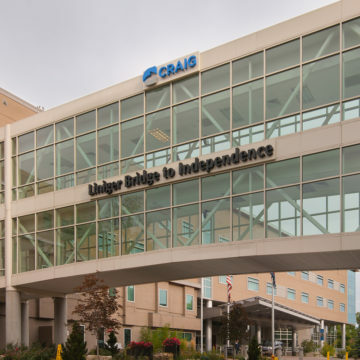 The Craig Hospital Foundation, a non-profit fundraising organization that supports Englewood’s renowned spinal cord and traumatic brain injury rehabilitation hospital, has appointed three new board members, Michael D. Durham, M. Doak Jacoway and Sandy Monteko-Sherman. Michael D. Durham, Ph.D., MBA has been President of ADA Environmental Solutions, LLC (ADA-ES LLC) since 1996. Durham has been the Chief Executive Officer and President of ADA-ES Inc since 2003. Durham was a co-founder in 1985 of ADA Technologies Inc., an Englewood, Colorado private company which contracts to the Federal government and others for development of emission technologies. He has been a Director of ADA-ES Inc. since 2003. Durham served as a ... Director of Earth Sciences Inc. since April 30, 1997. He has presented and published over 200 papers and has been awarded eleven patents. Durham received the 2001 AWMA Award for innovative air pollution control technology and a 2003 R&D 100 award for mercury control technology. In 2002 he was appointed to the National Coal Council and is on the Board of Directors of the American Coal Council and the Institute of Clean Air Companies. Durham has a B.S. in Aerospace Engineering from Pennsylvania State University, an M.S. and Ph.D. in Environmental Engineering from the University of Florida and an Executive MBA from the University of Denver. Jacoway is president of Jacoway Financial Corporation, a company he formed in April of 1987. He is a Financial Planning Consultant specializing in estate, investment and fringe benefit planning. Jacoway has been active in civic affairs since coming to Denver in 1975 serving on such boards as the Denver Area Council of the Boy Scouts, the Denver Police Foundation, the Colorado Association of Commerce and Industry, ARTREACH, the Denver Metro Chamber of Commerce, the Greater Denver Corporation, the Denver Arts Center Foundation, Colorado UpLIFT, the Metropolitan State College of Denver Foundation and Cherry Hills Country Club. He was chairman of the Denver Metro Chamber of Commerce in 2001-2002 and was the chairman of the Board of the Denver Area Boy Scout Council from 2009 - 2010. He received a Bachelor of Arts degree from Westminster College in Fulton, Missouri in 1971 and a Masters degree in business from Southern Methodist University in 1975. He served as an officer in the U. S. Army from 1972-74. Sandy Monteko-Sherman was the Founder/President of Monteko Associates, operating a high tech executive search and management-consulting firm for 14 years. She was instrumental in helping both established and early stage start-up companies in Silicon Valley. She was also the Co-Founder and CEO of Fidelity Partners, now known as The Reliant Group. Monteko-Sherman recruited joint venture partners to participate in the Resolution Trust Corporation’s National Initiative for the work out and disposition of distressed real estate portfolios across the country. In her volunteer activities for over 25 years, Monteko-Sherman has chaired a multitude of fundraising events for both private schools and the inner city public schools of San Francisco. Her commitment to public service also includes a position as a Managing Staff Member of the San Francisco Headquarters for the 2008 Obama Presidential Campaign. She directed recruiting and management of over 2000 volunteers. In 2010, her son Harry sustained a devastating Traumatic Brain Injury and experienced the excellent care at Craig Hospital.